Fr. Gregory Fedor leads participants in an exploration of the Sunday Bible readings for the season of Lent. This series begins March 5th. Check the Parish Calendar for the up-to-date schedule. 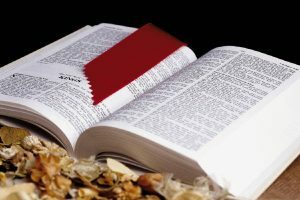 On March 12, 2019, Tom begins a study focusing on The People of the Passion. Discover how suffering in the Gospel passion stories transform people from despair to hope. Explore the stories of Peter, Pilate, Mary Magdalene, Simon of Cyrene, the woman who anointed Jesus, and the daughters of Jerusalem. All participants will receive a study guide. Check the parish calendar for the up-to-date schedule. 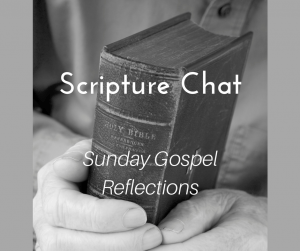 CLICK HERE to access simple reflections on the Sunday gospel readings. This resource is intended to help you prepare spiritually for the upcoming Sunday Mass each week. 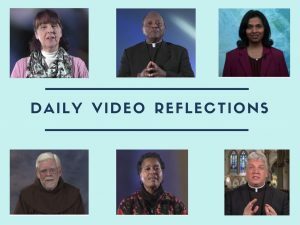 CLICK HERE to access a listing of daily video Scripture reflections.